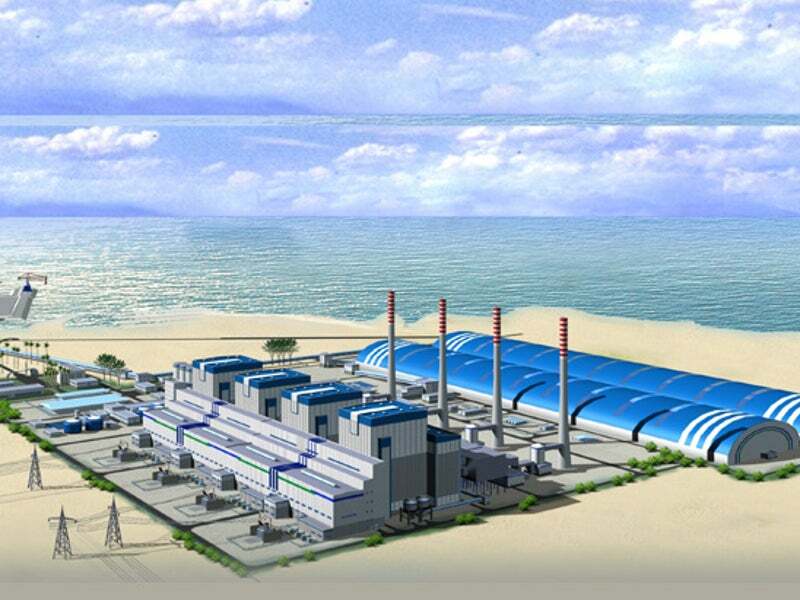 Hassyan Energy Company is developing the 2,400MW ultra-supercritical Hassyan clean coal power plant in Dubai. Image: courtesy of Dubai Electricity and Water Authority (DEWA). Construction of the Hassyan clean coal project began in November 2016 and is expected to be fully completed by 2023. Image: courtesy of Dubai Electricity and Water Authority (DEWA). The Hassyan power plant will be equipped with Alstom’s (now GE) ultra-supercritical boiler and steam turbine generators. Image: courtesy of Alstom. The 2,400MW Hassyan clean coal power station is an ultra-supercritical (USC) power plant being developed in Saih Shuaib, Dubai, United Arab Emirates. Upon completion, the project is set to be the first coal-based power plant in the region. Construction of the $3.4bn power plant commenced in November 2016. It will comprise four units of 600MW each, which are expected to start operations in 2020, 2021, 2022 and 2023 respectively, in March of those years. Hassyan Energy Company, which is a joint-venture (JV) between Dubai Electricity and Water Authority (DEWA, 51%) and the consortium of ACWA Power, Harbin Electric, and the Silk Road Fund (49%), is the project developer. The project supports the Dubai Clean Energy Strategy 2050, which is aimed at producing environment-friendly energy. The programme aims to produce 25% of energy from solarpower, 7% from nuclear power, 7% from clean coal, and the remaining 61% from gas by 2030. The power plant is expected to produce sufficient electricity to power approximately 250,000 households. The Hassyan coal power plant is being developed on a build-own-operate (BOO) basis using the independent power producer (IPP) model. The plant will be equipped with Alstom Energy’s (now GE) USC technology (boiler and steam turbine generator), which is capable of burning sub-bituminous coal as well as natural gas as back-up fuel. The flue gas emission levels at the plant will be maintained in accordance with the Industrial Emissions Directive (IED) of the European Union and as per the International Finance Corporation (IFC) guidelines. A 400kV substation will also be constructed as part of the project, which will be connected to the existing 400kV electricity transmission network. In addition, integrated transshipment coal and dry bulk handling facilities will be developed as part of the project. The USC technology enables the power plant to run at a higher steam temperature and pressure than traditional coal-fired plants,improving the plant efficiency and decreasing stack-emissions. The project also features a carbon capture-ready design. Advanced electrostatic precipitators (ESP) and seawater flue gas desulphurisation (SWFGD) systems of the USC technology lower the NOx, SOx, and particulate emission levels. DEWA entered a 25-year power purchase agreement (PPA) and a shareholders agreement (SHA) with the consortium led by ACWA Power in June 2015. "The power plant is expected to produce sufficient electricity to power approximately 250,000 households." Under the agreement, DEWA will purchase the electricity generated at Hassyan at a tariff rate of less than ¢5 a kWh, while ACWA will supply the necessary coal. Coal for the Hassyan plant will be provided by France-based EDF Trading. Coal handling and transshipment facilities will be managed by Louis Dreyfus Ports and Logistics under a contract awarded in October 2015. The power plant is being provided with limited recourse project financing comprising senior-secured financing and a protected mezzanine tranche. The lenders group include banks and financial institutions such as Industrial and Commercial Bank of China, Bank of China, Agricultural Bank of China, China Construction Bank, and Silk Road Fund. It also involves First Gulf Bank, Union National Bank, and Standard Chartered Bank. The consortium of Harbin Electric International, ACWA Power, and Harbin Electric was awarded the contract for the construction and implementation of the Hassyan clean coal power plant in October 2015. Hassyan Energy awarded the engineering, procurement and construction (EPC) contract for the project to Harbin Electric International and General Electric (GE) in June 2016. Alstom Power, which is now part of GE, was awarded the contract for the supply of the boiler, steam turbine generator, and advanced environmental control systems for the project. GE subcontracted the steel fabrication works to Huaye Steel Structure (HYSS) last August. The contractual scope includes fabrication of the boiler support system for the four 600MW units. NOMAC, a wholly owned subsidiary of ACWA Power, is the operations and maintenance services provider for the project, while ACES-Dubai was engaged by Consolidated Contractors Company (CCC) and Nepti for preparing the geotechnical study. QSI Consultancy Group (QSi) is a specialist consultancy providing principally commercial and dispute resolution services to the construction industry.